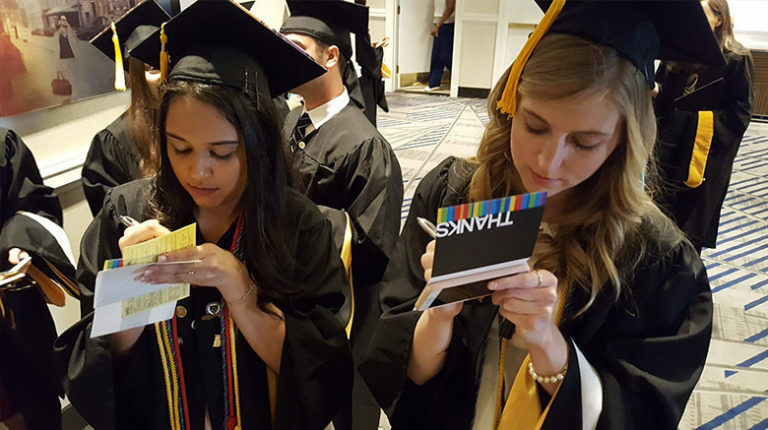 The Class of 2017 shares handwritten “Thank You” notes to family on graduation day. Not a text, an email or an insta caption. A note. Paper and pen.